LiteTile+ Plus 4 is the first foldable LED lighting fixture made completely with engineered textiles. LiteTile+ Plus 4 allows the user to install thin, soft, and adjustable Kelvin light into areas previously inaccesible. Because LiteTile+ Plus folds up to 180º between each light engine, the luminaire can be shaped into numerous configurations allowing for 360º, two-sided, or irregularly shaped setups. LiteTile+ Plus 4 can be directly attached to walls or ceiling surfaces such as office drop-ceilings with just spring-clips or tape. The LiteTile+ Plus 4 really shows its versatility when two units are coupled together and attached to a 4x4’ frame. That is 400 watts and more than 4600 cinema quality emitters creating ultra-soft Hybrid light output without the need for additional diffusion. Efficient and full-spectrum, the CineMitter offers state-of-the-art output with a 40% increase in brightness over VHO Pro. 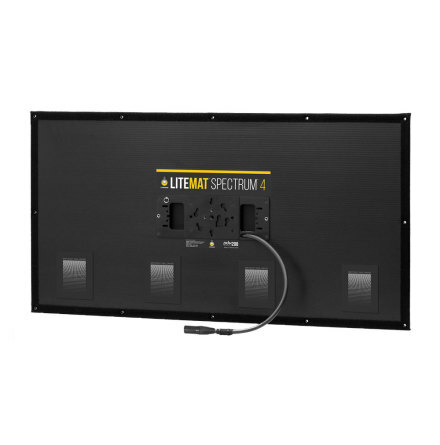 LiteGear extended the Kelvin range by lowering CCT to 2600 degrees allowing for candlelight or deep-tungsten output while increasing the CRI to a staggering 95+ that’s nearly indistinguishable from traditional incandescent sources! On the cool side, the CCT was pushed up to 6200K to better balance for overcast sky or cool white fluorescents. This increase in CCT still achieves a CRI of 95+ and provides beautiful, full-spectrum daylight. LiteDimmer+ Plus — Designed for Plus Series Luminaires. 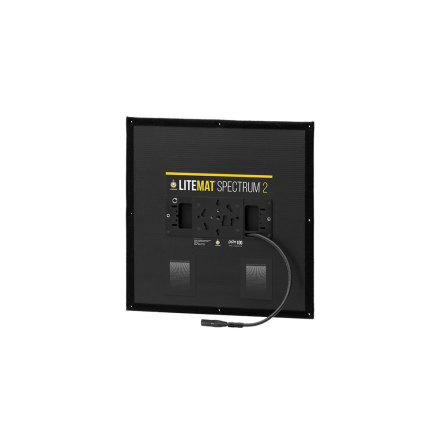 LiteDimmer+ Plus incorporates legendary LiteDimmer cinema-grade electronics into a singular housing combined with the AC or DC power supply. These Hybrid dimmers are available in manual and DMX versions, with wattages starting at 100W through 400W, and feature the new locking PL7 connector.